I recently went to Paris and I brought my mum as she's never been. Paris is one of my favourite cities. I love walking around and just take the city in. 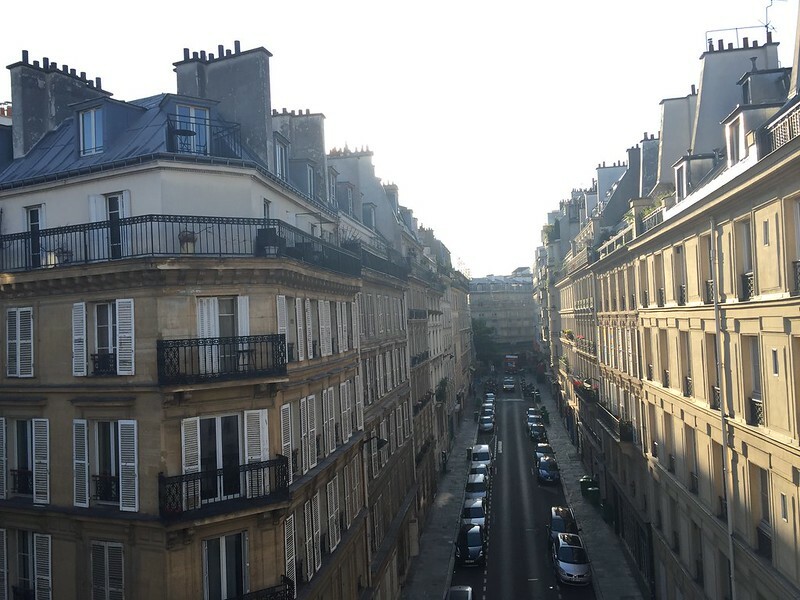 I love the smell of Paris in the morning. To wake up and just take the city in. It's a city with a relaxed pace. In comparison to London where everyone is so busy rushing around. 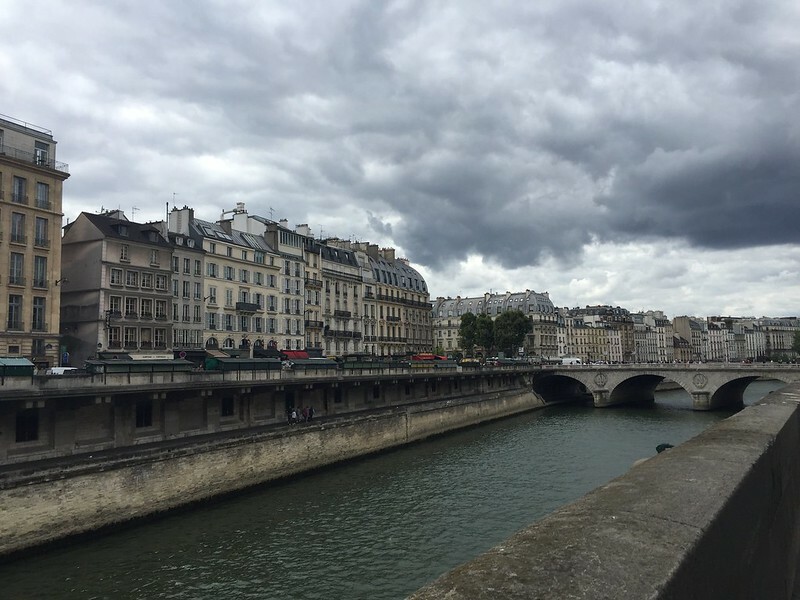 The Parisians still have time to relax with a coffee at a cafe or a stroll by the Seine. We arrived on Sunday evening to R.Kipling, our hotel in Montmartre. Monmartre is a beautiful part of Paris with lots of hills and stairs. 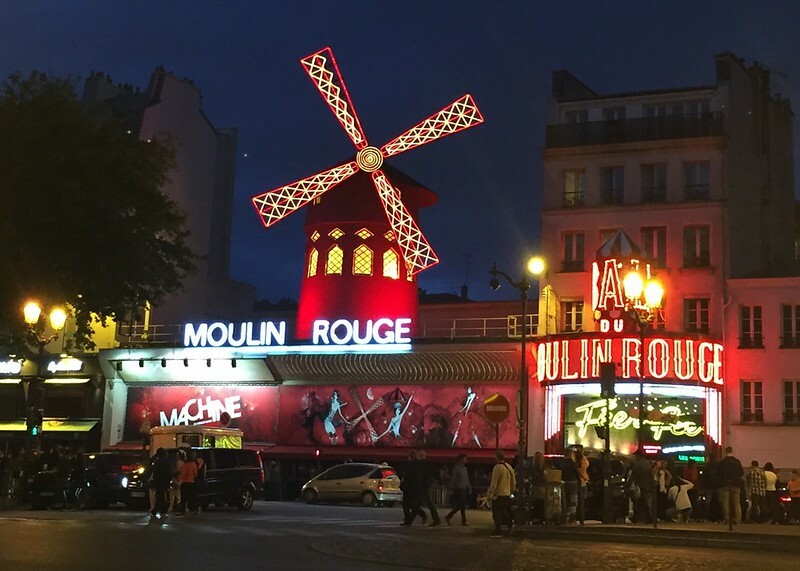 Many knows it as home of Moulin Rouge and where they filmed Amélie. R.Kipling Hotel decor is designed by Christine Gerondeau. Its pays homage to the eponymous novelist, Rudyard Kipling, known for his love of travel and Asia. It's a lovely boutique hotel. The rooms are Stereotypical French, small. 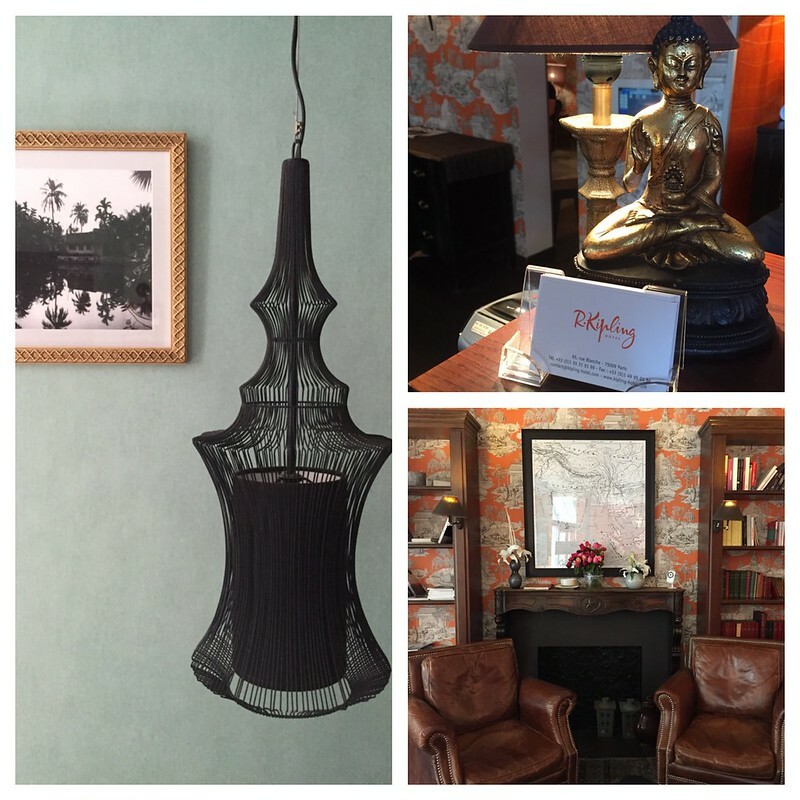 With quirky furniture especially their lamps and green coloured walls. The reception area is a wonderful place to relax with afternoon tea or wine tasting for later in the evening. As we arrived hungry the first thing we did was to go and find something to eat. We found an Italian restaurant near the hotel. We had a delicious veggie pizza, mine was without cheese. It had fresh vegetables and the bread was perfect. Accompanied by a nice bottle of Italian red. We then went for a walk around Montmartre before we headed back to the hotel. 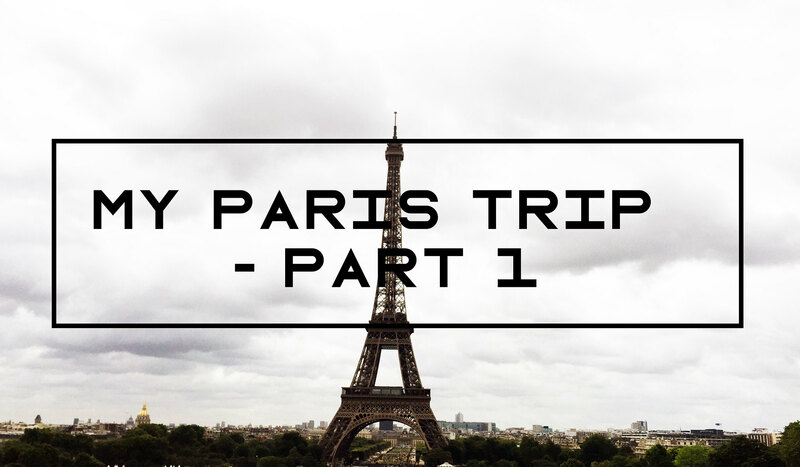 We started off with walking towards the Louvre. The first stop was La Fayette. The beautiful galleria with the cuopole sealing. We bought couple of stuff and continued our walk past the Opera. We then thought it was time for a Fika (coffee break) so saw a Le Pain Quatiden and had a coffee and vegan muffin. We then walked down to Louvre, took some pictures. Realised we were hungry so instead of joining the queue we went to find lunch. After lunch we walked some more before getting tired. 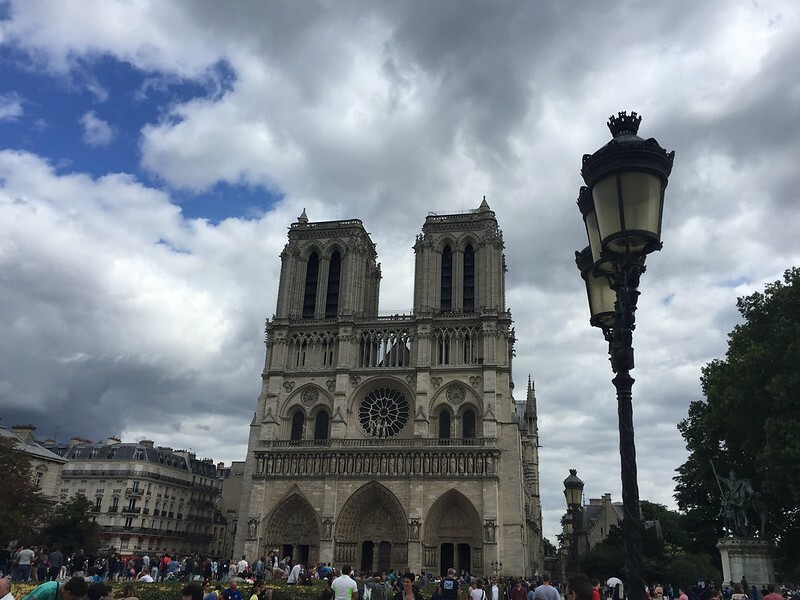 So we decided to do a quick stop at Notre dam before heading back to the hotel. 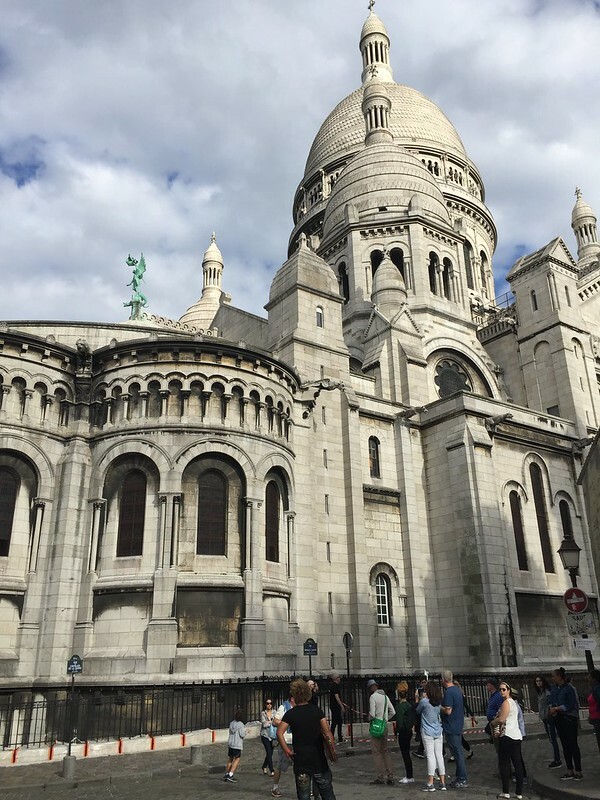 Whilst my mum rested her legs I decided to climb all the stairs to le Sacré-coeur on top of Montmartre. In the evening we went to Maceo for dinner. 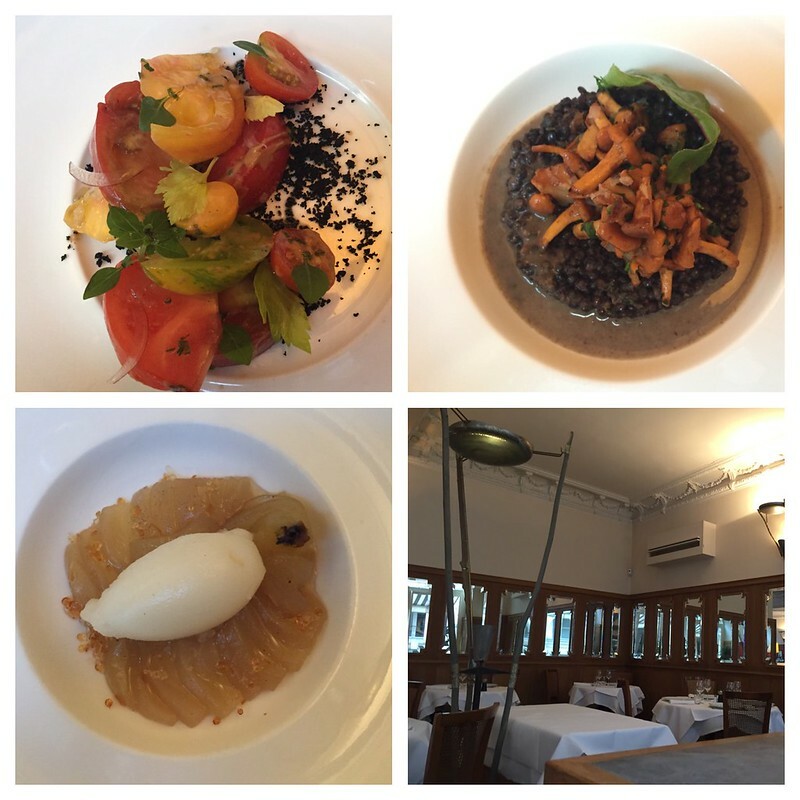 It's a beautiful French fine dining restaurant, but with a vegetarian/vegan menu as well. The food was so tasty. Perfect flavours that went well together. The staff was friendly and helpful. Our waiter recommended all my dishes and every dish was perfect. 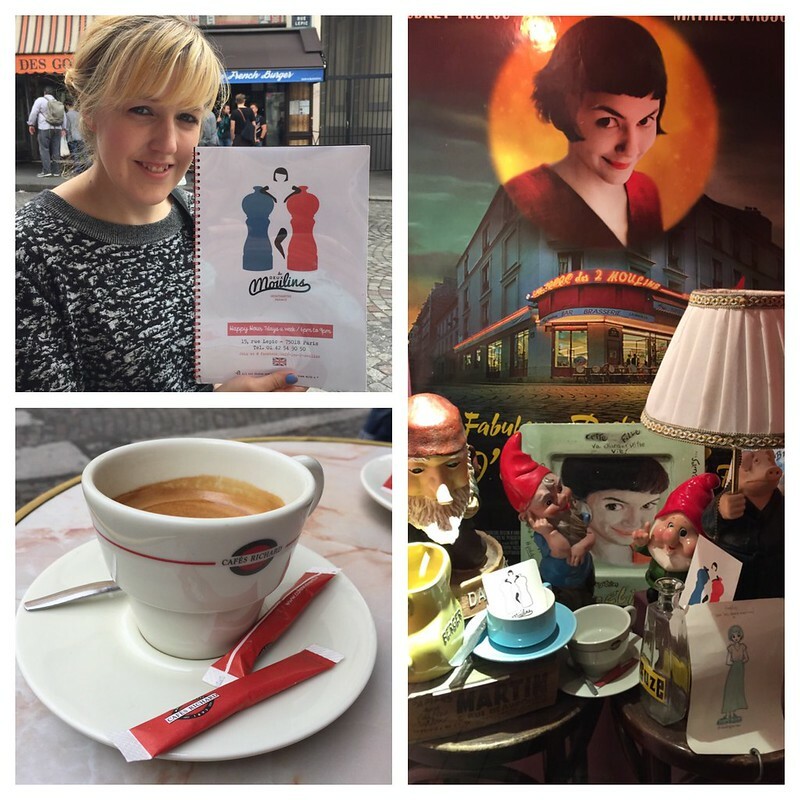 We started our day with a coffee at "Le Deux Moulins" where they filmed Amelie. I love sitting outside a cafe and watch the city life go by. All the businesses getting ready for the day ahead. Tourists running around with their maps, making sure they don't miss a thing and of course all the dog walkers. We then took the metro to Tour de Eiffel. 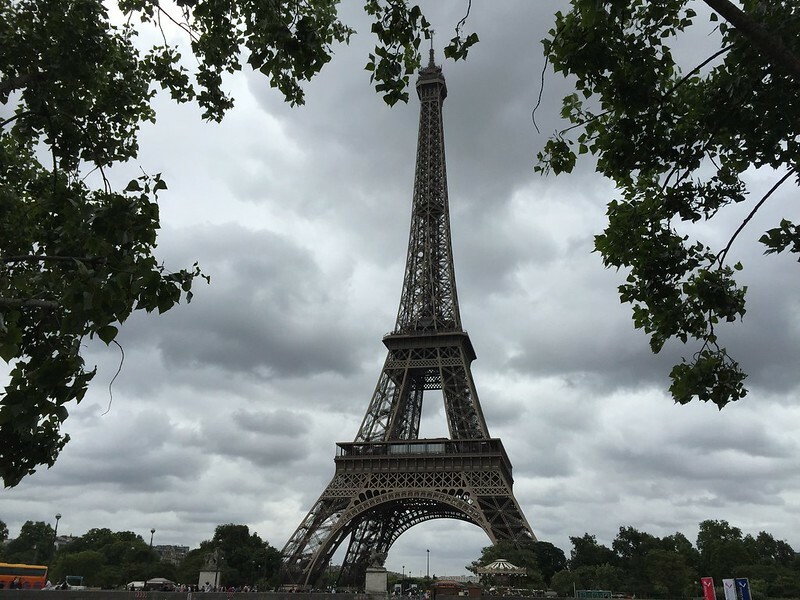 I don't know what it is with the Eiffel Tower but I just love seeing it. It fills me with joy and love for this beautiful city. I must admit I thought it was ugly the first time I saw it but then it grown on me and I love it more and more. I think as you can see it from so many places around the city it just reminds you that it's there. After my last trip and I got to see it by night and that was just magical. Even though this time it was a cloudy grey day it looked so serious, sadly romantic, impressive with the clouds behind it and almost looks like a black and white photo. We then spent the afternoon in Giverny at Monet's garden. But that will be a separate blog post. Promise you won't want to miss that. 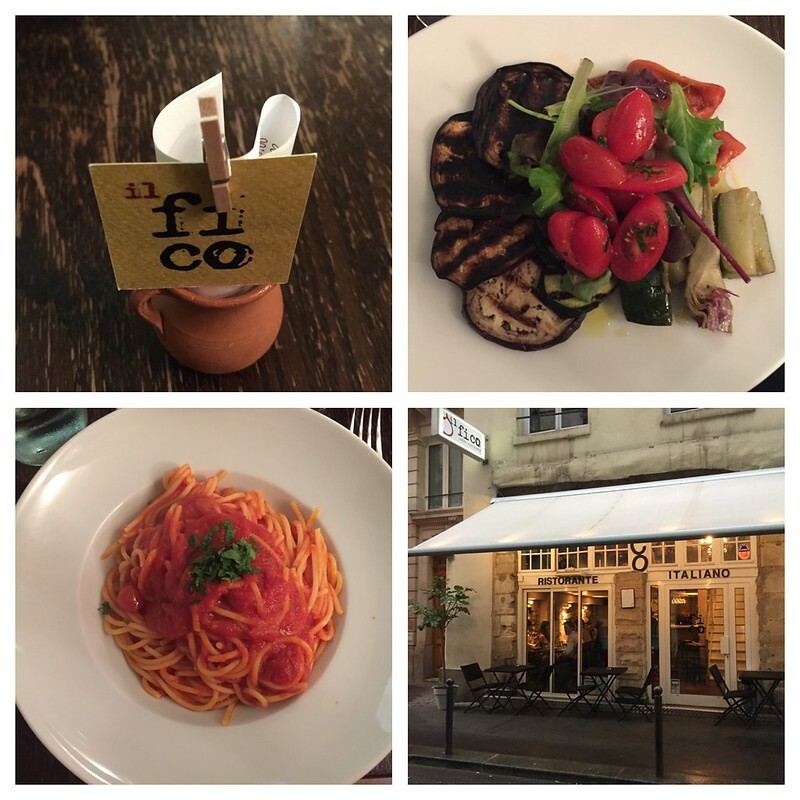 We then finished the day with another Italian restaurant "Il Fico" and had a delicious meal. I must be honest, I was distracted by the conversation on the table next to us most of the evening. It was a couple who was so caught up by their new found love. The lady who confessed that before she came to Paris and met him, had nothing to be happy about and felt empty by her life. The man, who was from Paris felt the same and they were so in love and tried to figure out a plan how they could stay together. I'm sorry but what a perfect Parisian love story right in front of my eyes. A perfect end to my trip. Paris always makes me feel like home and it's always so sad to leave. But I'm sure I'll be back soon. That's what I have to tell myself to make it easier.